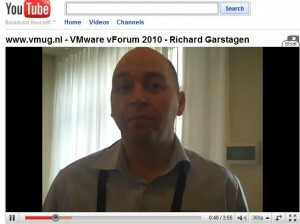 Today VMware organized the vForum 2010 in Nijkerk, the Netherlands, and during this day Dutch VMUG-er Viktor van den Berg interviewed Richard Garsthagen. Richard is one of the organizers of VMworld and during this interview he revealed some news about VMworld 2010. First of all VMworld 2010 USA will be held from August 30th until September 2nd in the Moscone Center in San Fransisco. The European version in the Bella Center in Copenhagen will take place from October 12th until October 14th. Talking with colleagues and community members the issue which is immediately brought up is ‘Can we expect any news in Europe or is all news presented one month earlier?‘ Richards response is that VMworld is not primarily meant for product news but it’s a three day training event. The biggest news Richard bring is that VMware is going to promote the experts. How? During VMworld 2010 you can get educated in four different ways. 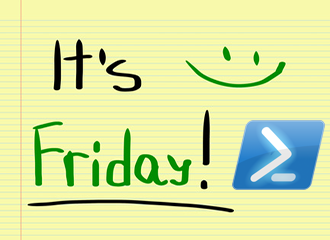 First of all you can attend breakout sessions or attend the self passed labs. A new item is that a you can attend smaller, more private group sessions. But when this is not private enough you can register for a 10 minute one-on-one private session with one of the VMware experts! Very cool! A second great new feature …..
A second great new feature is that the session selection is going to change. Of course a part of the breakout sessions will be determined by VMware but the worldwide VMworld public can determine the other part of the breakout sessions. Before VMworld 2010 VMworld the will be an opportunity to vote for the breakout sessions you wish to see at VMworld. In my opinion this is another great new initiative from VMware which will probably boost the breakout session attendance even more. If you want to see the interview with Richard Garsthagen you can find it here (dutch). And to finish of with some last minute VMworld 2010 news: the VMworld 2010 Pre-registration is available now! Leuk verhaal Erik, Ik ken Richard Garsthagen eigenlijk alleen van de Order Pizza Hotline voor VM.s. Dit was op basis van ESX 2 en VC.